It’s been a busy Autumn. Living in a college town it’s always surprising how the energy of this town is driven by the University Schedule, even if you aren’t a student or professor. I’ve had the pleasure of exhibiting in several places throughout Michigan the past couple months. I had two pieces in the Figurative show at the Northville Arthouse. 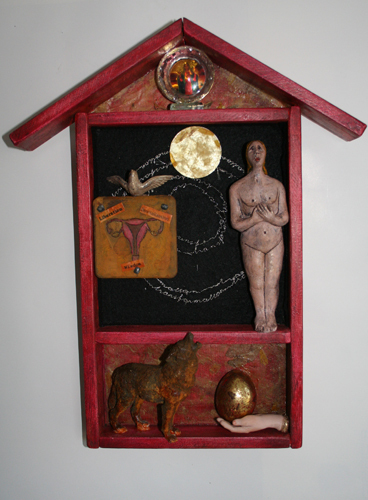 One in a Menopause themed exhibit in at the Rivers Edge in Wyandotte. 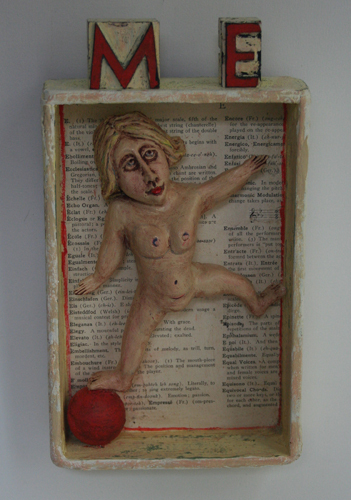 It’s exciting that my piece “Menopause the Miracle” sold before the Artist Reception. 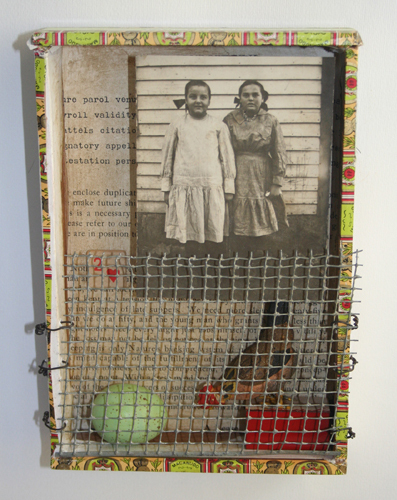 This Sunday AAWA has it’s first exhibit of the new season opening at Michigan Women’s Historical Museum. Here are photos of my three pieces. The theme is “Celebrating Women.” The first image is a hommage to my mother, who managed to give her all to the most unglamorous tasks. I learned early that any job worth doing is worth doing well. I only hope to one day be as accomplished an artist as she was a cook. 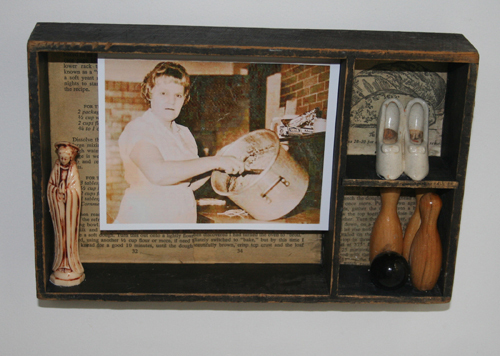 This entry was posted in exhibition, Found object art, Michigan Art, Photography, sculpture, Small works. Bookmark the permalink. Thanks Oksana, I still miss my mom.